USED INTERNATIONAL DT 466E HIGH PRESSURE FUEL PUMP / OIL PUMP " NEED VERIFY THE PART NUMBER"
USED INTERNATIONAL DT466E FUEL PUMP, REMANUFACTURED! Fuel Pump Injection, Call For More Information And Shiping. Injection Pump, Good Condition, Call For More Information and Shipping. Fuel Pump, Good Condition, Call For More Information And Shipping. Fuel Injection Pump, Good Working Unit, PN1842423C92, Call For More Information and Shipping. Fuel Pump Injection, Good Condition, Call For More Information And Shipping. 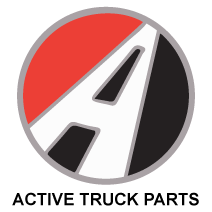 (USED) 2002 INTERNATIONAL DT466E FUEL RAIL, STOCK# 318724-AC. For more information contact us directly.